Selling premium herd bulls and heifers. Everyone offers "quality" herd bulls, but I actually have them. My herd stock was individually hand selected rather than bought by the trailer load. Give me a look, and do it right once rather than be sorry later. Offering quality breeding stock. Annual Auction. 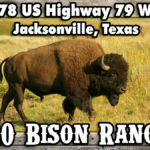 We are a Bison Ranch dedicated to humanely raising All Natural, Grass Fed Bison and Black Angus Meat. We have a beautiful selection of Steaks, Jerky, Roasts, Sausages and so much more! 100% grass fed free range Bison. Antelope Island sells approximately 200 bison each November to help cull the herd and keep numbers at a manageable number. Animals are sold at a live public auction, the public is invited to attend. Now selling delicious and healthy American Bison meat. Low in fat, carbs and calories but high in protein, iron and vitamin B12. Don't miss out on your chance to try this unique and rare product. Call now on 0488774052 or 0266617866. Back Forty Bison is proud to offer starter herds for those ranches just getting into the bison business or wanting to refresh their stock or add to their own herds. We have the unique advantage of putting together a starter herd containing a variety of genetics. Besides Starter Herds, we also offer the option of purchasing any number of animals with your choice of available genetics. You may enter partial values when viewing results. Offers quarter, halves or whole carcasses? Offers byproducts such as hides, skulls, bison byproducts, etc? Offers live animal and breeding stock sales? Do you sell farm/ranch equipment? Sells product at a farmer’s market? Sells product at a local restaurant?